Wairakei Folk Festival // WFF 2017! The Rogue Stage presents, in conjunction with Lava Glass Taupo, Jerseybob and Raw Balance NZ, an evening of exquisite live folk music hosted in the magnificent glass sculpture garden of Lava Glass Taupo. Always on the road, New Zealand folk duo, The Bollands, have been singing their infectious foot stomping folk songs since 2011. With their love of travel, music, good friends & fine wine, they have gained a reputation for their passion-filled live shows and heartfelt folk tunes. Their energetic music stems from their upbringing in the folk and roots music scenes in small towns and folk clubs throughout New Zealand. Christian, a hairy folk singer, met Joyce, the not so hairy pianist, at a campfire jam on a remote beach in their home country, New Zealand. They clicked instantly. Since that fate-filled night, they have been playing their passion-filled songs on the road throughout the world. For the past few years Joyce and Christian have been based in Hong Kong touring constantly. For those of you who have been lucky to be charmed by his rich voice, poignant lyrics and melodic harmonies need no introduction to this extraordinary and talented musician, but for those who still feel unsure whether its worth to abandon the couch for…. He has played in some great venues, up and down the country. That means South Island too, including Stewart Island. Bars, cafes, clubs, pubs, streets, house concerts, gardens, beaches, floating pontoons, bowls, ferries, stages, you name it, Bob probably has done it. He regularly amps the crowd at the Mussel Inn, Oneka, a legendary venue with some legendary local brew and home to the Captain Cooker, down in Golden Bay. I think he has a standing extended everlasting invitation by the owner! He has shared the limelight in NZ with Luke Hurley (NZ artist featured on the ‘Insatiable Moon’ sound track), Panda (USA), Midge McCleary (NZ) and Stu O’Connor (UK). All favourites on the live music scene. NZ-landers have seen Jerseybob play and perform his music for the last 10 years and steadily he has built a group of faithful followers. Some so dedicated, following in his trail to the next stage. Jerseybob has his own unique style, fusing folk inspired tunes with his quick witted tongue. A blend he has stamped as Folkcomedy. His songs tell tales, from here and from far far away. Tales of love ‘Simple Love Song’, death ‘My Mum’s Mum’, age ‘Wish List’, an old house ‘This Old House’ and living by the sea ‘Ebb and Flow’. He is a man with a gentle soul and he shares his truths so openly and trustingly. His fingers run up and down the familiar fretboard ‘McCleary’s Womb’, as if on a mad coffee rush, pulsating to a deep earthy rhythm, or they just dance ever so gently ‘This One’s for Nibs’. You get more than just a regular guy playing guitar nicely, you get a vibe, a heartbeat, a moment you definitely want to be part of. Singer song writer working musician from Rotorua, A blend of Rock,pop,blues/jazz & funk. Like two weary vagabonds hitch-hiking along the open road with nothing but a guitar and a suitcase of songs and wayward memories, pop-folk duo Looking For Alaska are ready to set the New Zealand folk scene alight. Members Aaron Gott and Amy Maynard offer up a sound rooted in country-style guitar and soaring harmonies woven together at their very fibre, intensified by their magentic on-stage chemistry. The duo’s familiarity, closeness and authenticity is fuelled by their real-life romance, creating a magnetic performance style that captivates their audience time and time again, and has seen them open for the likes of Fly My Pretties and Herbs, and as a featured act at the Auckland Folk Festival.Having performed together extensively since they bonded during a recording assignment at music school in 2012, Aaron and Amy embarked upon their newest musical endeavour Looking For Alaska two years ago, and have since worked tirelessly to create a collection of original material, ranging from thigh-slapping, foot-stomping folk sing-alongs, to poignant heart-rending ballads drenched in melancholy. Accompanied by their band, Looking For Alaska have recently emerged from Roundhead Studios where they have recorded their debut album, set for release in October 2016, and accompanied by a nationwide tour. Enjoy food from Lava Glass Cafe or from the food trucks parked in the grounds. Lava Glass Cafe is fully licenced, stocking a variety of local wines and beer, including non-alcoholic beverages such as specialty coffees and teas. Eftpos available at Lava Glass Cafe and both food trucks – Raw Balance and Tea n Happiness. 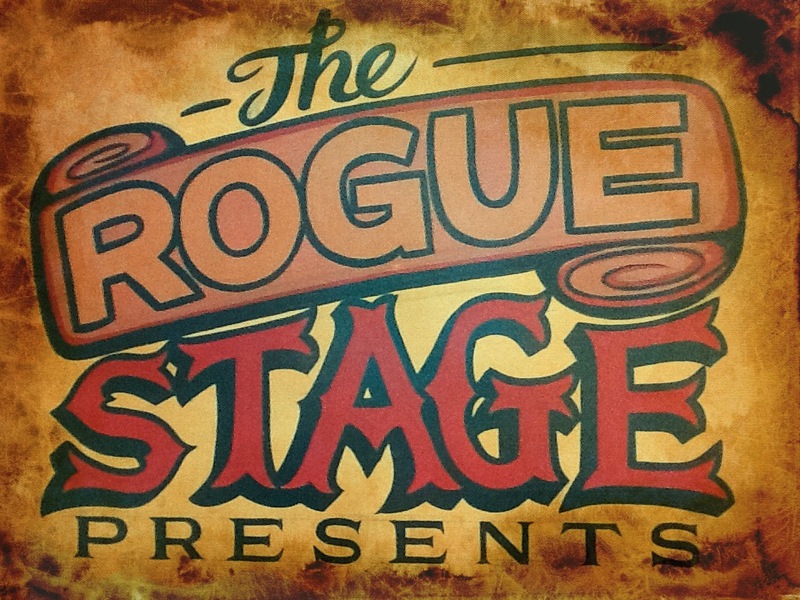 In 2014 The Rogue Stage, a nomad live music theater created by Karin and Barry Vincent from Rotorua, hosted the first of three annual folk festivals at a scout camp near Kerosene Creek. From its inauguration 3 years ago, the Waiotapu Folk Festival has gained a reputation among musicians and music lovers as a festival designed for the attentive listener. Audiences are left spell bound and amazed by the live music presented by artists such as Great North, Bernie Griffen, Adam McGrath, Lonesome Pines (Flora Knight, Ben Woolley, Hannah Harding), Archer, Glass Vaults, Matiu Te Huki, The Bitter Years, Bondstreet Bridge, Lloyd Akroyd, Juan los Bastardos, James Kenyon, Callum Gentleman, Albi (from Albi and the Wolves), Hugh McGinlay, Tourettes, Will Wood, Greg Malcolm and Jenny Ward, Katy Cable, Sonic Delusion, Jerseybob and much much more. In 2017 we decided to move the festival closer to Taupo, giving the opportunity for Taupo music lovers to experience this unique boutique festival. As it is held in Wairakei, we also decided to keep WFF alive as Wairakei Folk Festival. Tickets can be bought at Raw Balance NZ and My Music in Taupo or at Musicworks Rotorua. Please pre-order tickets at theroguestage@gmail.com for collection if you require other than single adult tickets. This entry was posted in Music news in Rotorua, Uncategorized, Upcoming shows and tagged False Heights, Festival, folk, Jerseybob, Lava Glass, Lloyd Akroyd, Looking for Alaska, My Music Taupo, raw balance, Rodney Fisher, Taupo, The Bollands, The Rogue Stage, Tweed, Wairakei. That sounds seriously good! Hope we can get there!